President Donald Trump’s former personal lawyer, Michael Cohen, pleaded guilty in New York on Aug. 21 to five counts of tax fraud, one count of making false statements to a financial institution, and one count of making an excessive campaign contribution. Special counsel Robert Mueller referred Cohen to federal prosecutors in New York as part of his investigation into allegations of collusion between the Trump campaign and Russia. The charges to which Cohen pleaded guilty are not related to collusion between the campaign and Russia. Cohen, who worked as Trump’s personal attorney at the Trump Organization, continued to advise the president after the 2016 election. But their relationship had frayed in recent months. Cohen pleaded guilty to one count of willfully causing an unlawful corporate campaign contribution and one count of making an excessive campaign contribution. That payment likely refers to a nondisclosure agreement Cohen secured from a woman claiming to have had an affair with Trump. The former chairman of the Federal Election Commission has said that such a payment does not constitute a campaign finance violation. If the payment did constitute a contribution, then the candidate would be obliged to make it from campaign funds in accordance with election laws. 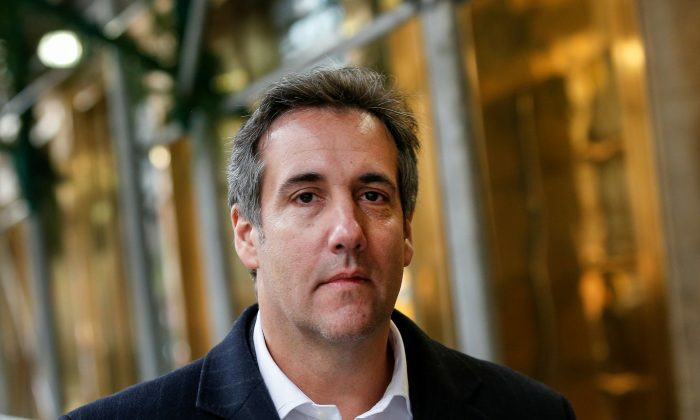 Swiss drugmaker Novartis AG has said it had paid Cohen nearly $1.2 million in a consulting deal; U.S. telecommunications company AT&T Inc. said it made payments of $600,000; and South Korea’s Korea Aerospace Industries Ltd. said it hired him for $150,000. Cohen agreed to the plea deal to allow his family to move on to the next chapter, according to a statement from his lawyer, Lanny Davis. The investigation of Cohen included a raid in April by FBI agents, who seized documents and files from his office, home, and hotel room. The April FBI raids provoked an immediate reaction from Trump’s team, who asked a judge to block prosecutors from reviewing the materials they had seized, citing attorney-client privilege. The effort was unsuccessful.